My disease is as rare as it is famous. Basically, I am allergic to the world. I don't leave my house, have not left my house in seventeen years. The only people I ever see are my mom and my nurse, Carla. But then one day. a movie truck arrives next door. I look out my window, and I see him. He's tall, lean and wearing all black; black T-shirt, black jeans, black sneakers, and a black knit cap that covers his hair completely. He catches me looking and stares at me. I stare right back. His name is Olly. Maybe we can't predict the future, but we can predict some things. For example, I a certainly going to fall in love with Olly. It's almost certainly gong to be a disaster. 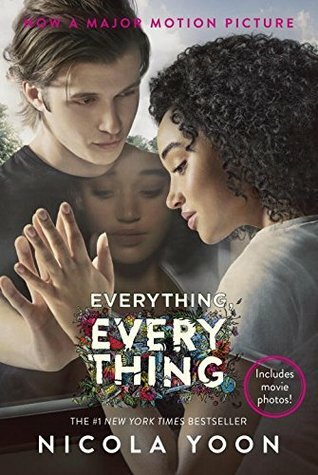 Everything, Everything has been on my TBR for the longest time. The hype around it has slowly dwindled once again after the release of the movie which means that I can finally read. I am so etched to jump into this book especially because there are illustrations inside meaning that I will probably fly through this book! I have also been in the mood for contemporaries lately (which almost never happens) and honestly I hope that the book lives up the hype that surrounds it. Thank you so much to Penguin Random House South Africa for providing me with a copy of the book! I am so excited to jump into the book! Just a small disclaimer for those reading this review. I have received this book in exchange for an honest review. Please note that this does not affect my opinion in any way. All thoughts are my own. Nicola Yoon knows how to write for young adults. With illustrations littering the page and easy writing, its no wonder that there are countless people who like this book. My personal favourite was all of the illustrations. They were done well and they always made me laugh or smile. The plot was so adorable. 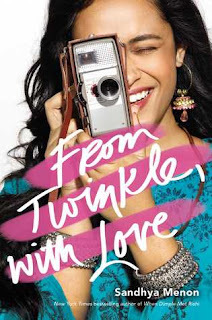 I loved reading every moment and even thought the story is super predictable, it is cute. I loved how everything unfolded. It felt as if it was a classic first crush/first relationship. I definitely think there is a lot of events and things that I believe that everyone can relate to. I loved how cheesy this book was. Olly has got to be my favourite contemporary romantic interest. He was funny and understanding and just down right adorable. I loved reading about him and his relationship with Madeline. I was always laughing or smiling at what he was saying. Despite having an abundant of information on Madeline, I felt as if she just fell a bit flat for me. There was just something that she was lacking to make her a round character. Overall, I really really enjoyed reading this book. I flew through the pages and just couldn't get enough of the book. I loved it to bits! I can definitely see why so many people like and why it is no a major motion picture. This is one of those books you can read a million times because despite its heavy moments, it is light and fluffy. Thank you so much to Penguin Random House South Africa for providing me with a copy of this book!